Switching blog sites. New look. New and easier way to follow. If you like writing and the creative life, this is your place. They are sometimes called microadventures. The term may have been coined by Alastair Humphreys the adventurer and writer. He's written about taking little adventures, stretching to the challenge of the outdoors in simple, inexpensive ways without having to head off for the Himalayas. I've been writing a blog over the last several months entitled Walks With Sam. Maybe you have read some of the posts, essays, if you will, based on a season of walks with my dog. I certainly invite you to. 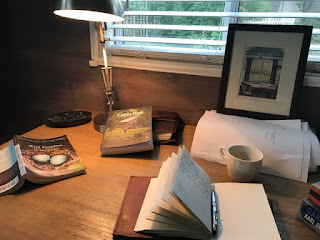 There are more than 30 posts now and I have stopped contributing to the blog on a regular basis because, I believe, there may be a book there. Going forward, I plan to occasionally post a walk or a hike, or something significant in the life of Sam and me. But my season of contemplative walking appears over for now. It has run its course. But I've learned much about me, about Sam, about the creative process, about the neighborhood in its larger sense from the people in the houses to the deer in the woods, to the skunks, and rabbits, and the squirrels. It's all been a series of mini adventures. 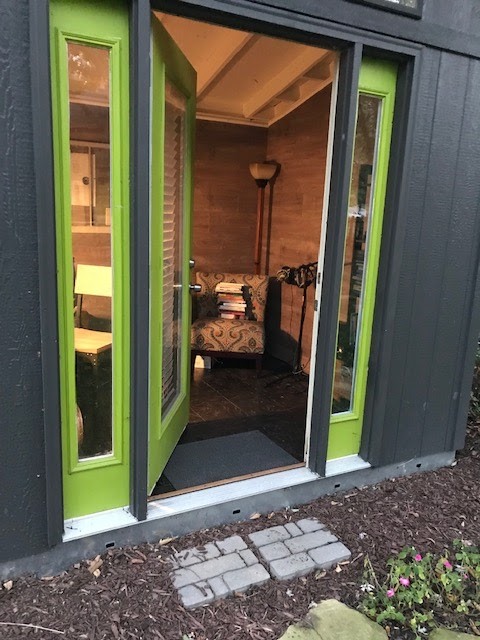 With all those words and all the observations behind me, I have retreated to the writing shed to try to shape something, to figure out how all those walks come together, how they fit into each other, how they resonate, why their collectiveness should mean something bigger than a single walk. I am reminded of great literary walkers and of great books about walking. 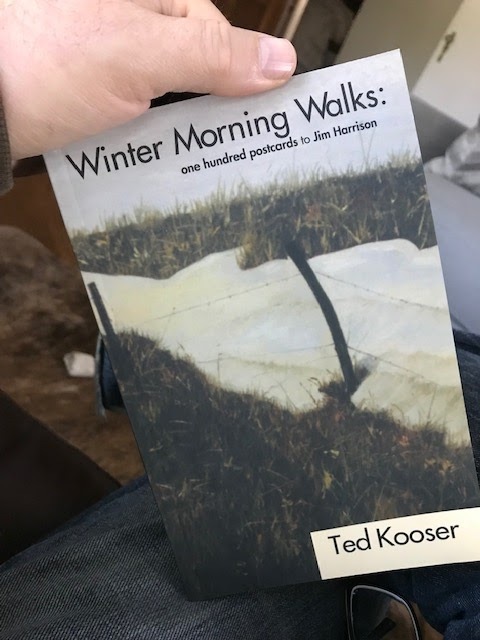 A colleague suggested I read Ted Kooser's book of poems, Winter Morning Walks. I have started. It's brilliant and beautiful. So, here I am, in the shed, writing, shaping, thinking. This, in many ways, is yet another mini adventure. Not a physical walk, but a mental one through all the walks that came before. It's a good place, this shed. With its books and its painting of Dylan Thomas' boathouse, and art and photography from my sons and stepdaughter. Some night I will work late in here and maybe sleep inside these walls among all the essentials of a another mini adventure and dream, dream about this story, this book of walks. Surely something will rise out of this place. Something will be born here once again. For this is another mini adventure, a search for some tender wisdom, because an adventure, as Alastair Humphreys has written, is "only a state of mind." I'm stealing this idea. I'll be honest. I don't know where I saw it first. Maybe something on LitHub, the great aggregate of literary news. But wherever it was, I'm offering credit their way. The idea was to interview a bookstore. My approach is a bit different than the one I first saw. My questions are not the same. My purpose is different. The original idea was to offer insight into the workings of a book selling business. Mine is to highlight one of Chicago's best literary destinations. This is not hyperbole. 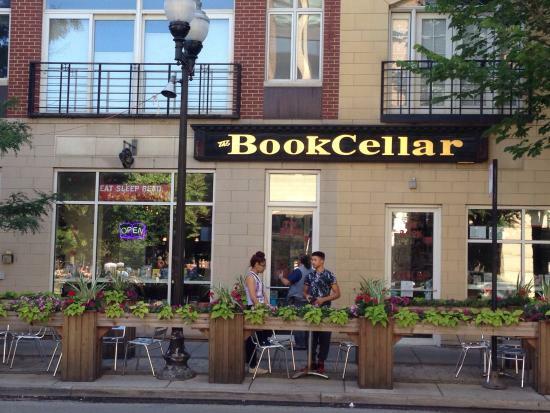 The Book Cellar in the Lincoln Square neighborhood is a gem, not only in Chicago, but it stands alongside some of the top book selling venues in America, and has been named one of Chicago's best places to write. Q: What's your favorite section of the store? A: The cookbook section and the picture book section. It's a tie. Q: What is the bookstore's specialty? A: I would describe us as a general bookstore. Our bestselling sections are literary fiction, no-fiction, and board books. Q: Who is your store's favorite regular? A: Bill comes by several days a week and always has something interesting to say about the book world. He clips The New Yorker cartoons for us or Chicago Tribune articles. He reads a crazy number of books and was very quick to finish our store's reading challenge. Q: What's the biggest surprise about running a bookstore? A: The physical store itself. The mechanics of it are such a tool. From light bulbs to leaks, to HVAC to refrigeration, to people driving into our sidewalk cafe, all of it is a constant expensive and problem to deal with . Q: Tell us about your most memorable author event. A: I think there are two events that will never leave my mind. Ray Bradbury joined our book club by speaker phone. He had not done any speaking events for a long time, and he and all of us became very teary. The second was the pleasure of hosting Studs Terkel. He was a remarkable person and character of Chicago. Q: What is children's book you would want adults to read? 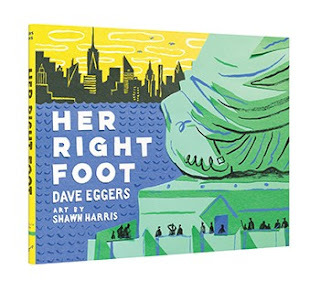 A: Her Right Foot by Dave Eggers and Owen and Mzee by Crag Hatkoff. And also Wonder by RJ Palacios. Q: How does your store build community? A: By hosting story time and local author events. Really all events in general. From a spelling bee to Independent Bookstore Day to working with the Chamber of Commerce. 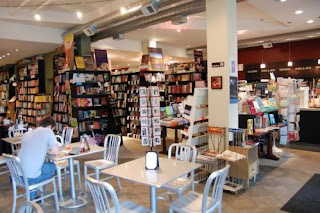 They are all reasons for us to be part of the community our store lives in and part of the literary community. Last year, Suzy Takacs and The Book Cellar won the Spirit Award from the Chicago Writers Association for its support of Chicago writers. 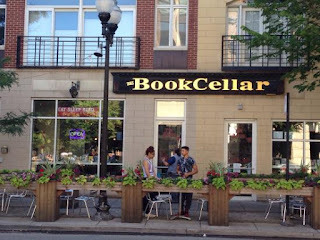 The Book Cellar is at 4736 N. Lincoln Avenue, Chicago, IL.